Laboratoire de Physique et Modélisation des Milieux Condensés - Interdisciplinary workshop "Spintronics meets Superconductivity"
Accueil > Événements > Événements passés > Interdisciplinary workshop "Spintronics meets Superconductivity"
Interdisciplinary workshop "Spintronics meets Superconductivity"
This workshop aims at bringing together specialists in superconducting nanostructures, magnetic materials, and spintronics to provide informal exchange of ideas, necessary for development of this new direction. It continues the series of (non-regular) workshops done in 2015 and 2017. Participation to the workshop is free. 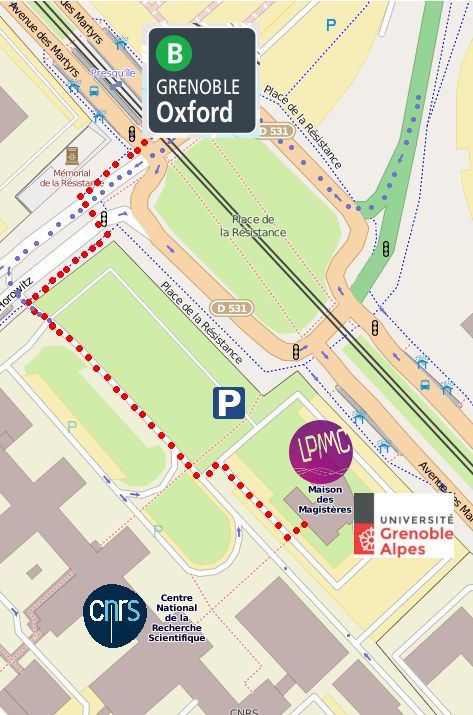 However, participants from outside the CNRS campus have to register before the 29th of November by sending an email to Thierry Champel. "Spintronic Aspects of Chiral B20-Magnets"
"Advanced electrons cooling using SINIS junctions"
"A unified view of spin-charge coupling in classical and superconducting spintronics : Non-disipative Magnetoelectric Effects"
"Interface effects in superconductors in contact to ferro- and antiferromagnetic insulators"
"Using π-⁠SQUID as φ Josephson junction"